With some 34,000 members located in 62 countries across Europe, Africa, the Middle East and the Caribbean, Soroptimist International of Europe (SIE) works actively to improve the lives of women and girls. Holding special consultative status at the United Nations’ ECOSOC, SIE has participatory status at the Council of Europe and the European Women’s Lobby. 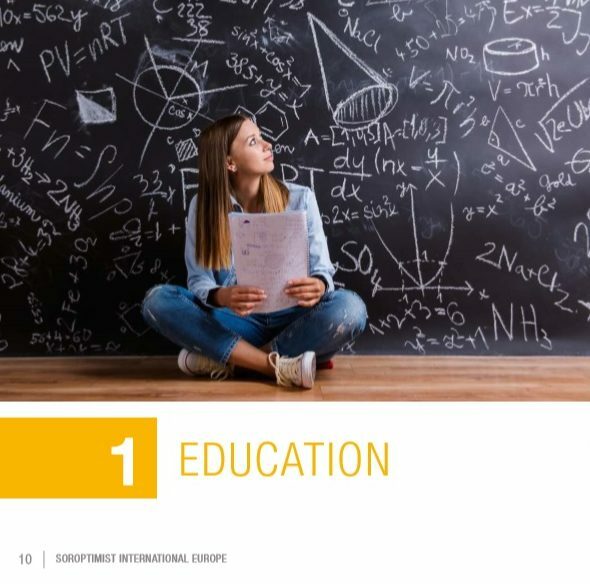 Soroptimist International of Europe exchanges with these institutions and provides them with evidence-based information for the formulation of policies that advance women’s issues. Every year Soroptimists implement or support thousands of projects that benefit women and girls in their communities or elsewhere in the Federation. The focus is on five key areas: Education, Economic Empowerment, Eliminating Violence against Women and Girls, Health and Food Security as well as Sustainability. Click the image below to read more about the Best Practice Awards 2018.